Shop vendors and artists, cosplay, play games, attend seminars, and meet industry celebrities. 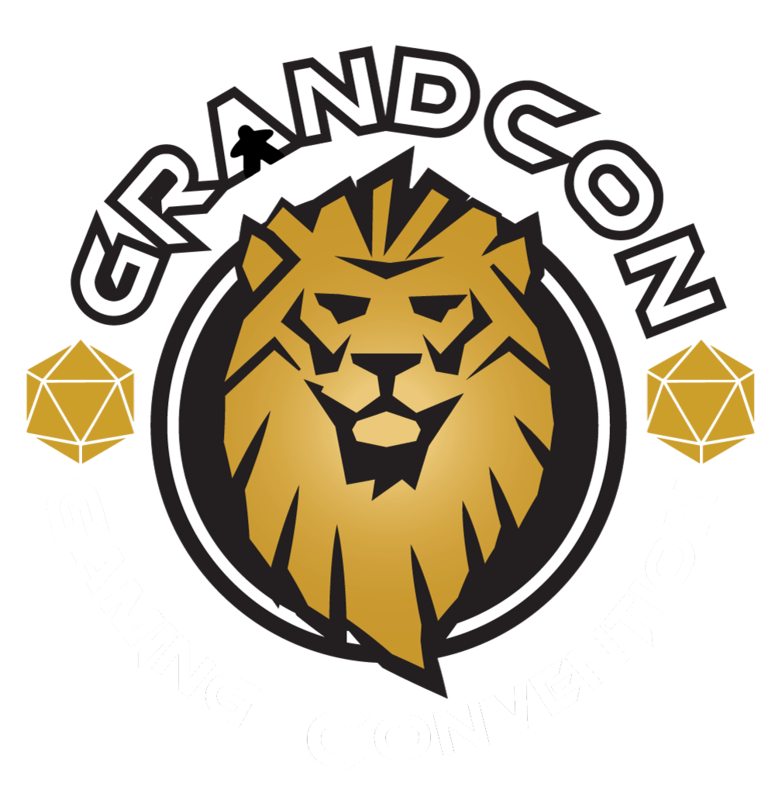 GrandCon welcomes all, and features tabletop (board, card, and roleplaying) gaming including the creators and or authors behind them. Attend seminars, tournaments, special charity events, come dressed as your favorite character, or get involved in open gaming from our library of over 1100 titles! Check out different opportunities to mingle with industry celebrities and other gamers that appreciate similar gaming interests, ranging from games like Monopoly to Tokaido, Champions to Dungeon & Dragons, and Euchre to Fabled Fruit. Make sure to check out the unpublished games section in the ProtoPub area; maybe you'll learn how to design a game or simply sneak a peek at great upcoming games in the hobby. And don't forget our vendor area where you can shop for arts, crafts, and games. GrandCon, at its soul, is a community event that raises money for local charities all while having fun. It’s an event that creates opportunities, a place to make new friends and see old friends, and a gateway to discovering a world of creative gaming. Thank you for your community support, and see you soon at GrandCon! //greenronin.com/wp-content/uploads/2017/07/RoninBanner-1.png 0 0 Veronica Templar //greenronin.com/wp-content/uploads/2017/07/RoninBanner-1.png Veronica Templar2017-10-17 20:52:282017-10-17 20:52:28Owen Stephens at GrandCon!